Two giants of Melee met in the loser’s finals at today’s CEO Dreamland, and the match came down to the wire. Jason “Mew2King” Zimmerman and Juan “Hungrybox” Debiedma were tied at 2-2, each with only a single life left, vying for a spot in the grand finals when a single frame decided the outcome. Zimmerman, on Fox, gets knocked off-stage by Debiedma’s Jigglypuff. 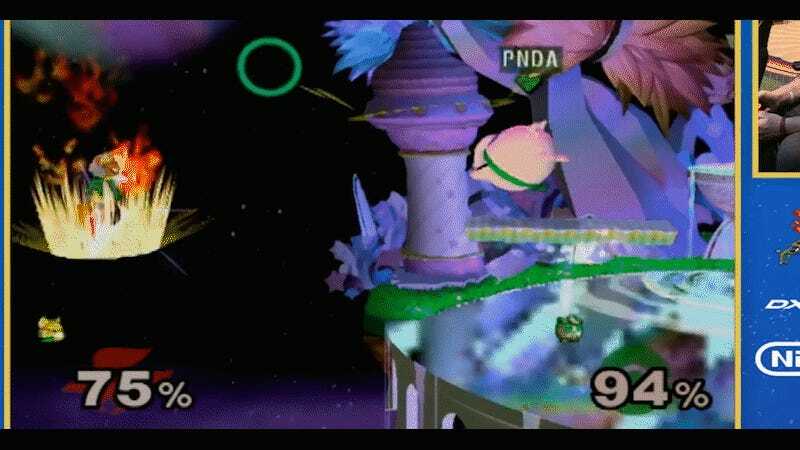 In a mad race for the ledge, Fox barely beats Puff to the corner, grabbing it and receiving a precious moment of invincibility right as Jigglypuff’s backward-aerial attack comes flying overhead. This sends Debiedma off the side, and controlling the platform, Zimmerman puts himself in the driver’s seat and secures the win. Sound warning for this clip. Seriously. If you think you’re fine, you’re not. Turn it down. Smash rankings consultant and frame-data guru PracticalTAS took to Twitter to confirm that it was, indeed, a single frame of data that made the difference. Melee runs at 60 frames per second, so the deciding moment played out at 1/60 of a second, a single fraction likely determining the winner. CEO Dreamland has been a unique event, the first of its name and a purely Smash (and Smash-like) tournament. 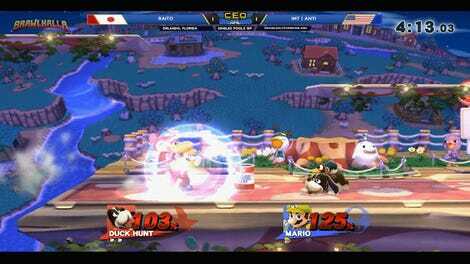 A loser’s final being decided by a single frame of play is a pretty fine way to close out the Melee end of things. Zimmerman would go on to beat Zachary “SFAT” Cordoni in the grand finals, resetting the bracket to do so. You can tune in now to check out the top eight of Smash 4 play, where top players like Zero and Nairo will play it out for the first Smash 4 Dreamland title.